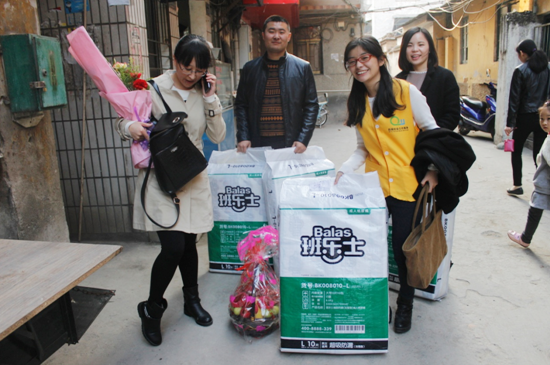 Before new year’s coming, Balas and Qifu Lujiang District Integrated Family Services Center visit lonely aged people in Lujiang District Xiamen, to deliver our caring to them and donate Balas adult care products, we convey the ideas of filial by action, bring the really welfare to elder people. 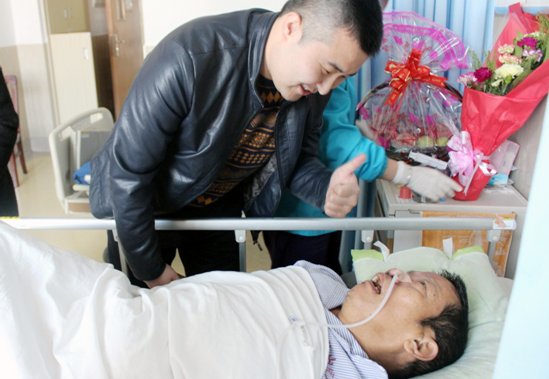 Uncle Huang is an old people who live alone and bed-ridden, nobody take care of him. 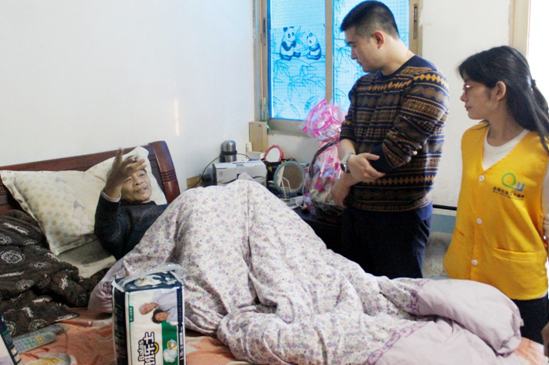 Through our communication with nursing worker, she told us Uncle Huang needs to lie in bed for long time, adult care products have big demand, and our donations exactly solved their problem. When we are leaving, Uncle Huang murmured thanks to us. Although he is unable to move freely, even speech problem, but the “Thanks” is very clear and resonant, and he holds our hands for long time unwilling to loose. A simple greeting or a tiny caring action brings to them not only assistance, but more important is the concern to them. And the “thanks” is the greatest affirmation to our activities, and confirmed our way on filial public activities. Left hospital, we came to Uncle Chen’s home. 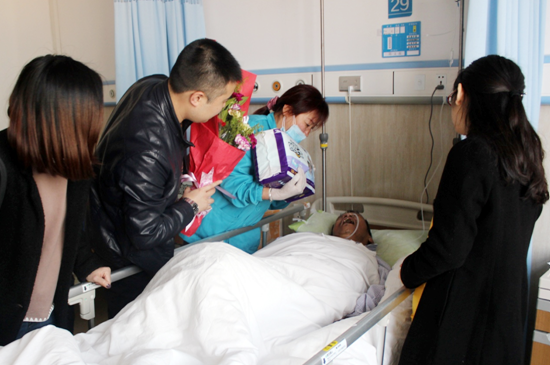 Uncle Chen is a postoperative patient, but here is not wife and child looking after him. From our specks, we knew he just left operation table that difficult on movement, and need to nurse with diapers. 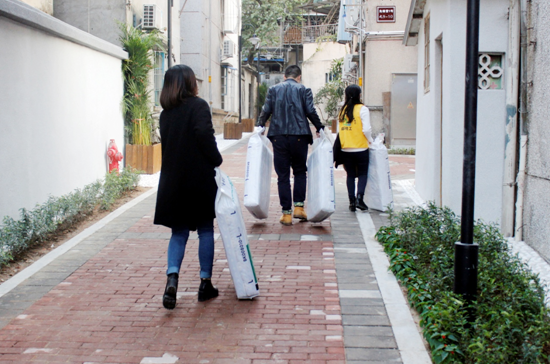 “ What a kind of you, last days I bought some diapers, now is almost finish, and you bring the diapers for me.” Uncle Chen said and point the bags beside him which has few diapers inside. We are delighted that balas adult diaper gives more convenience to Uncle Chen. 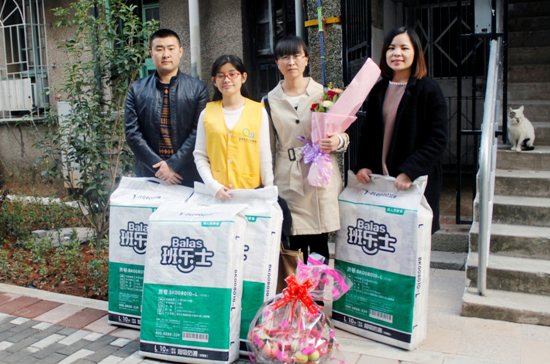 Filial public activities to bring more caring to the people need. To those lonely elder, they needs help from society, and need more care and love, they need somebody to company with them to cover their relative relationship lack, makes them feel not lonely anymore.